The general term “laser light” characterizes the electromagnetic spectrum between 150nm and 1mm. More precisely it covers the whole range from hard UV up to the infrared “light”. Due to state-of-the-art technologies the emitted optical power from one laser source can reach multiple kW (>1000W). Due to its physical properties laser light can be focused to power densities (=power per area) that are high enough to melt or evaporate tissue, metal or ceramics. In the medical field laser radiation is used to remove tattoos or to cut human tissue. Therefore a high potential risk is the accidental illumination of the user. Especially the eyes are much more sensitive to light and therefore they are at increased risk. In fact, it is possible to cause irreversible ocular injury with just one glance of a direct or reflected laser beam even at lower power output levels. 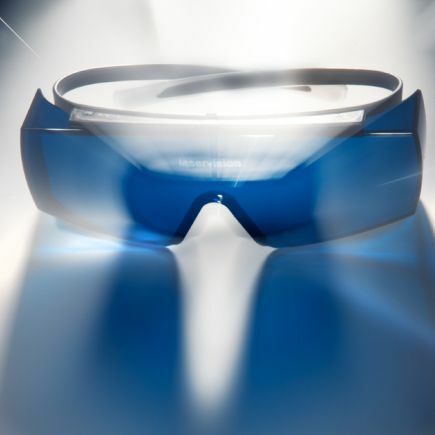 Therefore the legislator prescribes the use of laser safety eyewear and/or, if necessary, additional protection arrangements when working with certain laser power. 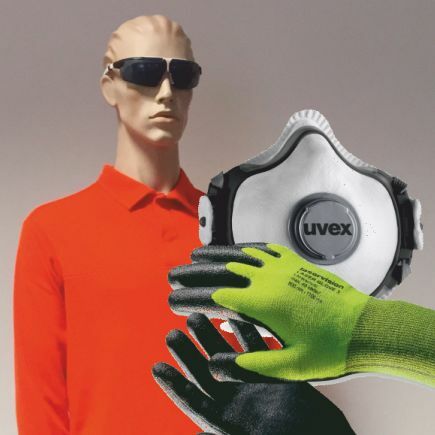 Furthermore the European laser safety standards EN207/EN208 require an EC-type examination (CE) by an independent Notified Body who certifies the laser safety eyewear with LB-laser safety ratings. 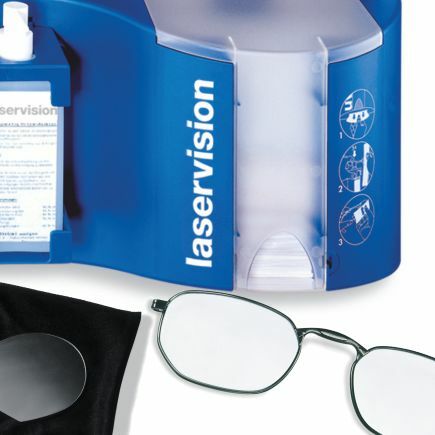 Laser safety eyewear, which is based on coated or absorbing glasses and plastics, is one of the key products of laservision’s laser safety portfolio. 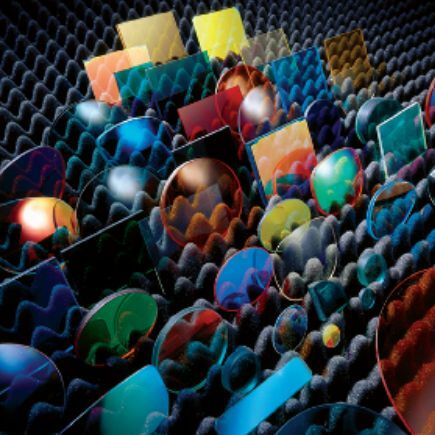 For this reason laservision is able to offer a perfect solution for all laser applications.